The planet's last stronghold of wild cheetahs (Acinonyx jubatus) is losing genetic diversity at an alarming rate according to a new study from the Smithsonian Conservation Biology Institute (SCBI) and partners published June 21 in the journal Biological Conservation. This is in direct contrast with the population of cheetahs in zoos, which is as genetically diverse as it was 30 years ago because of cooperative and strategically managed breeding programs, including the Association of Zoos and Aquariums' Cheetah Species Survival Plan. 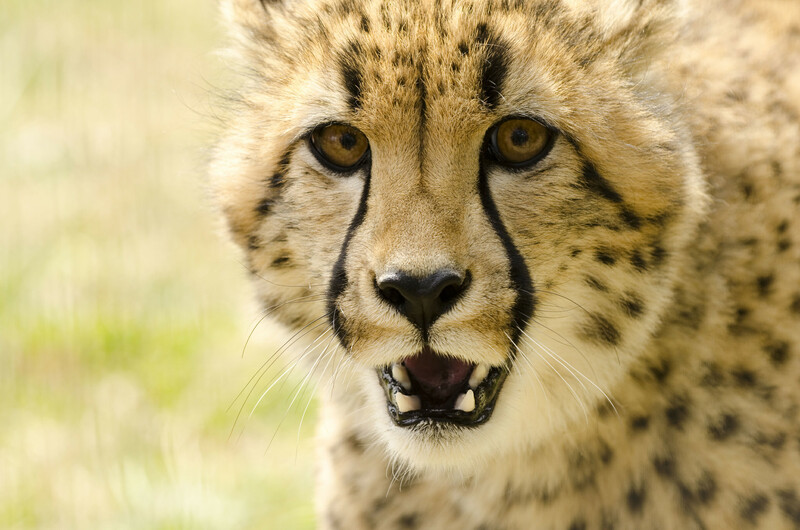 This study provides objective proof that management of cheetahs in zoos is working, said Kim Terrell, lead author on the study, former SCBI doctoral student and current director of research and conservation at the Memphis Zoo. It is crucial that wildlife institutions continue to work together to invest in methods to complement conservation efforts in the wild, ensuring the long-term survival of the species. Genetic diversity plays a key role in the overall health of a species, its ability to fight disease and even whether it can easily reproduce. Cheetahs survived a population collapse more than 12,000 years ago that led to inbreeding and a loss of genetic diversity. As a result, modern cheetahs are prone to disease and have poor sperm quality. The study looked at the DNA of more than 100 male cheetahs in Namibia over the past 30 years to determine how modern population declines affect a species that already suffers poor genetic health. What the study's authors found surprised them, Terrell said. They had expected to find that, as a result of their lower genetic diversity, the cheetahs in the wild would have poorer sperm quality than those in zoos. What they found instead is that sperm quality was equally poor across both populations, with the exception of about 1 in 10 male cheetahs that had what the researchers consider to be "normal" sperm quality. This means we might not see serious health consequences until the cheetahs in the wild hit a certain threshold of low genetic diversity, said Adrienne Crosier, co-author, SCBI conservation biologist and manager of the Cheetah Species Survival Plan. It is important that we capture the genes of the 10 percent of males with good sperm quality and other highly beneficial traits, for example, by freezing their sperm. These lineages may be the key to helping bolster the species' chance at survival. SCBI has a cheetah breeding center at its headquarters in Front Royal, Virginia, designed to help create a genetically diverse and self-sustaining insurance population of cheetahs in human care. Since it was opened in 2007, 25 surviving cubs have been born there. SCBI is also a member of the Conservation Centers for Species Survival (C2S2), a partnership of eight facilities collectively managing more than 25,000 acres devoted to studying and breeding endangered species. Six of those facilities study cheetahs and have cheetah breeding centers. The International Union for Conservation of Nature classifies cheetahs as vulnerable to extinction. The population in Namibia —the species' last stronghold —faces numerous threats, including habitat loss and conflict with livestock farmers. According to the study's authors, conservation efforts in the wild need to focus both on protecting habitat and reducing conflict with humans. We need to find a way as soon as possible to reverse the population decline —or at least stem it, Terrell said. Cheetahs have already come back from the brink of extinction once in history. We don't know if they can do that a second time. Additional authors on this paper are Dave Wildt and Warren Johnson at SCBI, Stephen O'Brien at St. Petersburg State University and Nova Southeastern University, Nicola Anthony at the University of New Orleans and Laurie Marker at the Cheetah Conservation Fund in Namibia.